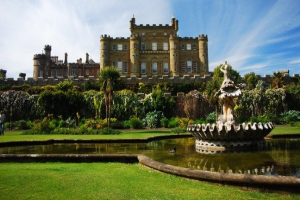 Scottish Castle Ghosts: Green Ladies, Pink Ladies And The Ghostly Piper! 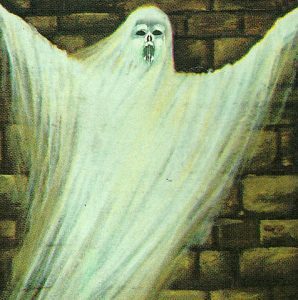 No website about Scotland would be complete without a mention of Scottish castle ghosts, and believe me, there are many such stories. They range from grey ladies, white ladies and green ladies, to misty shapes and mysterious pipers. Not surprising, with the bloody history surrounding some of our castles it’s no wonder the spirits and apparitions are quite restless. 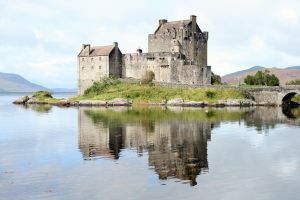 When you consider the vast number of castles in Scotland with their dungeons, secret tunnels and passageways, real estate here would surely be worth looking at if you’re a ghost. Forgive me, I mock. In the technological age of the twenty first century, it’s easy to dismiss such claims of paranormal activity without unquestionable scientific proof. Centuries ago, ghosts were very real to those people claiming to have witnessed the unexplainable, and much like everything else, an increased number of “sightings” only serves to add some weight to the argument of whether or not such ghosts exist. There have been reported “sightings” as recently as the 1970s. Makes you wonder, doesn’t it? Our most famous castle reputedly has more than one ghost: The Drummer is said to be the headless form of a small boy. Who this boy is, nobody knows but apparently his drums were always heard when the castle was about to come under attack, so it’s no real surprise that he hasn’t been heard for quite some time. The Piper is one of the most famous Scottish castle ghosts. 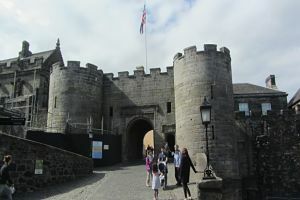 Edinburgh Castle has a number of secret tunnels leading to the Royal Mile. When these tunnels were first discovered, a poor unfortunate piper was sent down to explore. The idea was that he would play the pipes as he went, so that his progress could be tracked from above. Everything was going well until the pipes suddenly stopped. When a rescue party went down to investigate, the piper had vanished and has never been seen since, but today his music can still sometimes be heard from the castle. The Green Lady is Stirling’s most famous ghost, thought to be a maidservant to Mary Queen of Scots, who was crowned here. The Queen almost died when, asleep in her bed, her bedroom curtains caught fire from a candle. Luckily, She was saved by the maidservant, who unluckily, died in the fire. Ever since then, the story goes that the weird phantom of the Green Lady has appeared unexpectedly in different parts of the castle, as if she is checking for fires. The Pink Lady is reported to be a beautiful apparition dressed in a pink gown. Some say she is the ghost of Queen Mary, and other stories suggest she is a young widow searching for her husband who was killed in battle. It seems that the mysterious Pink Lady is usually seen walking from the castle to the nearby church. 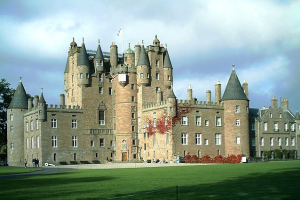 Glamis could lay claim to being top of the Scottish castle ghosts charts: Earl Beardie was what we may call a compulsive gambler who liked playing cards. As a castle guest one Sunday he was losing heavily, and demanded that more people play cards with him. He was quite drunk and became aggressive, claiming that he would be willing to play cards with the devil himself. Suddenly, there was a knock on the door, and a strange dark figure entered. Nobody knew who it was. The servants, listening at the door, said they heard strange rantings from the Earl. He died a few days later! No one knows who the dark stranger was, but the story goes that Beardie plays cards with the Devil for all eternity, in a secret room in the castle. The Grey Lady is thought by many to be the spirit of Lady Janet Douglas, burned at the stake as a witch in 1537, on charges of plotting to poison the King. To this day, in the family chapel at Glamis Castle there is always an empty seat, and if you ask WHY that seat is empty, the staff will tell you THAT seat is reserved for the Grey Lady. There have been many sightings here over the years: The Ghostly Piper, one of the alleged sightings, is believed to be an ancestor of the Kennedy Clan. It seems whenever a Kennedy is getting married, the Ghostly Piper’s music can be heard throughout the castle grounds, in celebration of the wedding. The Supernatural Knight: This could, in all probability, be a fantasy that has been confused with a true story. The knight is said to have abducted a young heiress and held her captive in the castle. What is factual, is that a woman named May Kennedy from Culzean, was abducted from the castle by Sir John Cathcart, but she escaped when she pushed him to his death from the cliffs. In 1976, two tourists staying at Culzean, reported seeing a strange misty shape moving up the oval staircase. This is thought to be the ghost of a princess who was killed in the Green Room, and the “misty shape” has been a common sighting over the years. Who could believe that such a lovely place is haunted: The Spanish Soldier is believed to be the ghost of one of fifty soldiers beheaded here during the Jacobite rising of 1715. The story goes, apparently, this poor soldier’s tormented spectre has been seen holding his head under his arm in the room that used to be the gift shop, but is now used for the visitors’ introductory exhibition. Whether or not you believe in Scottish castle ghosts, one fact remains: There have been too many sightings to dismiss the notion completely. Many people believe in paranormal activity, while many others ridicule the idea as being old wives tales. Me? I’ll keep an open mind. Woooooooo! 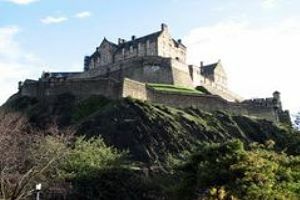 The Scotland Travel Information page has all the information you need for travelling to and within Scotland. 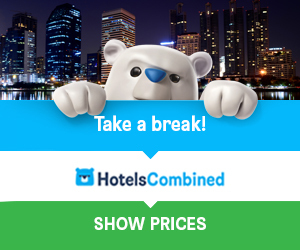 Get helpful advice on passports and visas, currency, weather, holiday extras, useful travel links and much more.